The National Chairman of the All Progressives Congress, Adams Oshiomhole, has called on members of the party to support efforts by President Muhammadu Buhari to flush out politicians who are bent on looting the nation’s treasury. Oshiomhole said this on Friday while addressing a crowd of supporters at the Benin Airport, Edo State. The former Edo State governor, who was apparently reacting to the gale of defections from the ruling APC, said the Federal Government would not sacrifice the welfare of the citizens for politicians who are only interested in getting juicy appointments. Oshiomhole said, “Working together with President Buhari, we will ensure that the government will not focus on the welfare of the few at the expense of the majority. The government will ensure that those who work have something to show for their labour. The APC national chairman stressed that his leadership would provide true representation that would meet the aspirations of Nigerians. He said he would work closely with the state government to address the needs of the people. He stated, “At this point, I am very clear; we will have to fight on the basis of our conviction. And we will adopt our style. 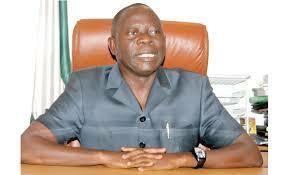 Oshiomhole appealed to the youths to remain committed to the APC, as no one would be “used and dumped” under his watch. He said, “To our youths, I want to particularly appeal to you. Do not lose faith; there will be work. There will be participation. There will be involvement.